The Crook County Court will soon move out of the historic Crook County Courthouse to a location across the street to make more room for the county's growing Community Development Department. According to county officials, the Community Development Department has been particularly impacted by a lack of space throughout the county departments. Although the county has utilized every available "nook and cranny," county leaders have determined that the time has come to make some difficult decisions to address the problem. Consequently, the county will be leasing additional office space in the Chucker Point Building (267 NE Second St.), just west of the current legal building on the corner of Northeast Second and Court streets. In the next several weeks, the human resources and legal departments will be moving from their current location to the new building. Human resources will be located on the first floor, and legal will be upstairs. After some additional remodeling, the county court and county administration staff will be relocating from the first floor of the courthouse to the building vacated by legal and HR. In addition to adding offices for the county court, the remodel is expected to add a much needed larger conference room that can be used for county court work sessions and other county meetings. The departure of the county court and administration will free up space for community development. This move should be completed by the end of February. County leaders contend that these moves will enable the Community Development Department to continue providing "the excellent service our community deserves." They added that expanding community development offices throughout the first floor of the courthouse is also consistent with a recently completed facilities plan and is the first step in improving current department space requirements. The intent is to make certain these moves occur with the least amount of disruption to the public and to county staff. 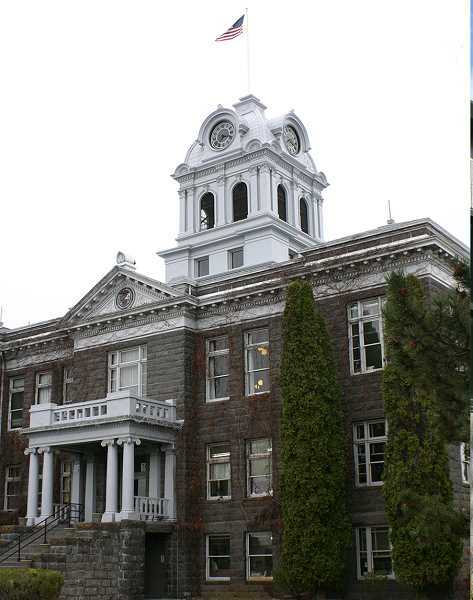 "It is not without sadness that we, the county court will be vacating our historic courthouse," said Crook County Judge Seth Crawford, "but this decision will ensure that your county will have the best ability to serve you, the citizens of Crook County."